Once every year I get to be a fanboy one with the community. 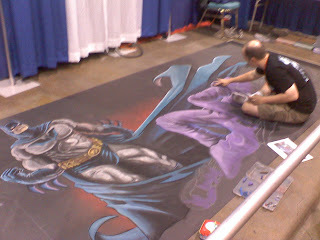 And although the annual comics/anime/gaming midwest pilgrimage Wizard World doesn't quite have the right mix of material for me nor the plethora of freebies I'm used to at Tech conferences, its still a lot of fun for a number of reasons. 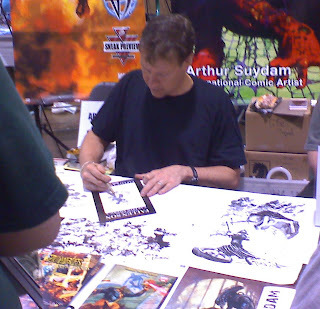 For one, you run into people like Arthur Suydam who did the covers for the wonderful Marvel Zombies. 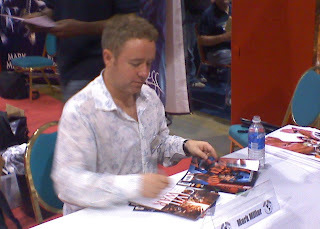 Or Mark Millar signing copies of his work Civil War - which was absorbing and epic. Or Mike Choi (Witchblade) and Phil Hester (Green Arrow) scribbling away furiously. And then there are the fans who show up in those outfits in all that heat and pose patiently for photographs for geeks like me. 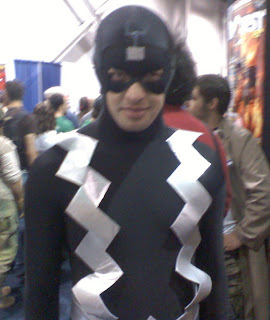 Here is my favorite Inhuman: Black Bolt, who wisely chose not to say anything. 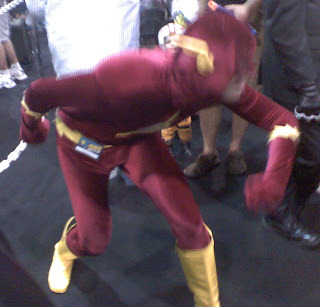 And Flash, obviously too quick for the camera. 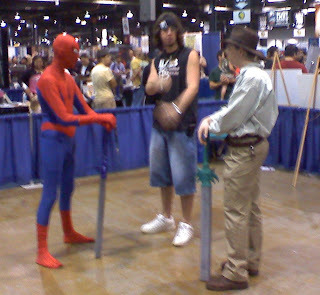 Where else could you see Spider-man and Indy go at it? Some awesome street art from Pepper Ink. 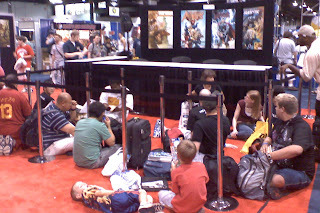 and waiting at the Marvel booth. Ok, it ain't ComicCon, but I can't afford plane tickets so this is all I get to write about. Megan, you should write a post for me on that one. It'd be awesome. Next time you're bored? Please?